The Vestry of All Saints Anglican has decided to underwrite a periodic luncheon at parish expense after the Sunday Morning Worship Service. 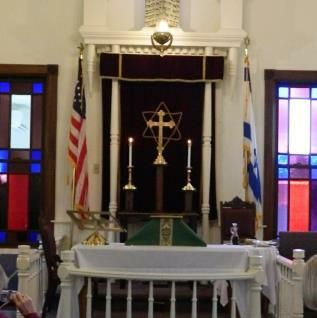 This allows parish members and friends to invite their family and neighbors to join together, typically at Minerva's Restaurant in the Park Place Hotel, across from Washington Street and Beth El Way. The first luncheon in that series was held on August 26, 2013, which was then repeated ever after. 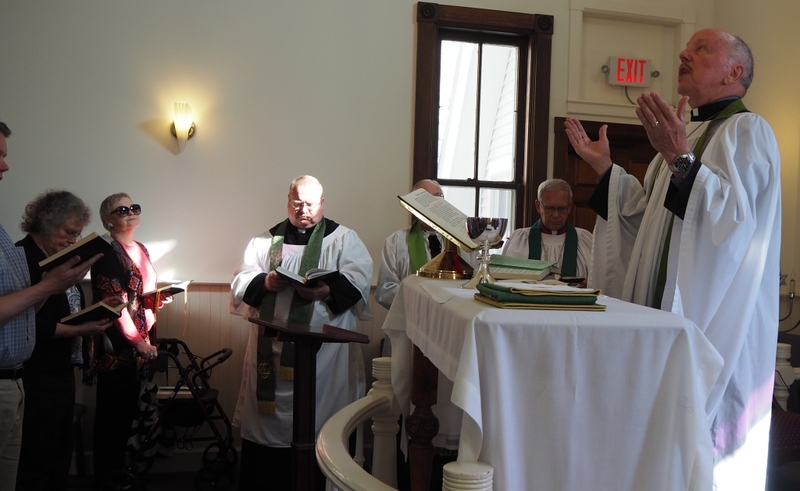 Luncheons were set for the third Sunday of November, February, May, and August, but the the schedule is adjusted to celebrate special days in the life of the parish. The last lucheon was hosted for Bp Hustwick's visit in Traverse City on September 16. Parish luncheons are always popular times of fellowship and reflect the spirit of our Lord Jesus as we extend hospitality and love to all His people. Please plan to join us for our next luncheon with friends and family - see Calendar. All Saints Anglican Church was founded under the oversight of the Anglican Mission in America (AMiA). When the AMiA broke away from the Anglican Church of Rwanda, we were transferred into the continuing work of Rwanda in America with the acronym PEAR-USA. In 2016, the Anglican Church of Rwanda asked their American bishops to become independent. Once again we lost oversight and had to find a new home. The Anglican Church of North America (ACNA) absorbed most of the former PEAR-USA. 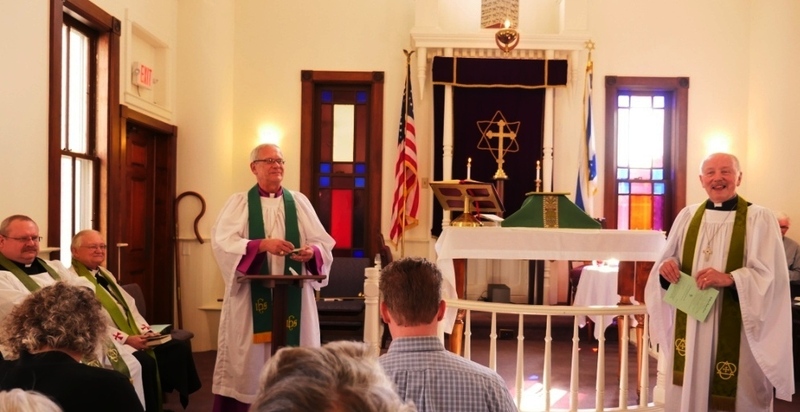 However, the ACNA has failed to provide a traditionally evangelical Anglican COMMON Prayer practice, leaving decisions about liturgy, holy Orders, and theology to each diocese individually. The failure to provide a common Anglican life, faithful to the history & practice of Reformed Catholicism, has moved us to seek oversight from the United Episcopal Church of North America (UECNA), a continuing Anglican jurisdiction that has clearly remained faithful to Anglican life and order. which is our regional diocese within the UECNA (see "Favorite Links"). 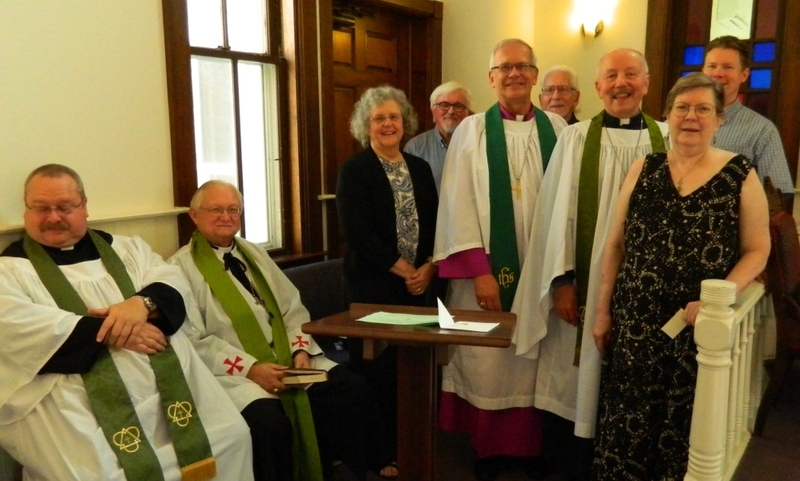 The Rt Rev David Hustwick, together with Bp Jackson Worsham and Fr Michael McDonald and his wife Nancy visited All Saints Anglican Church on Sunday, September 16, 2018. 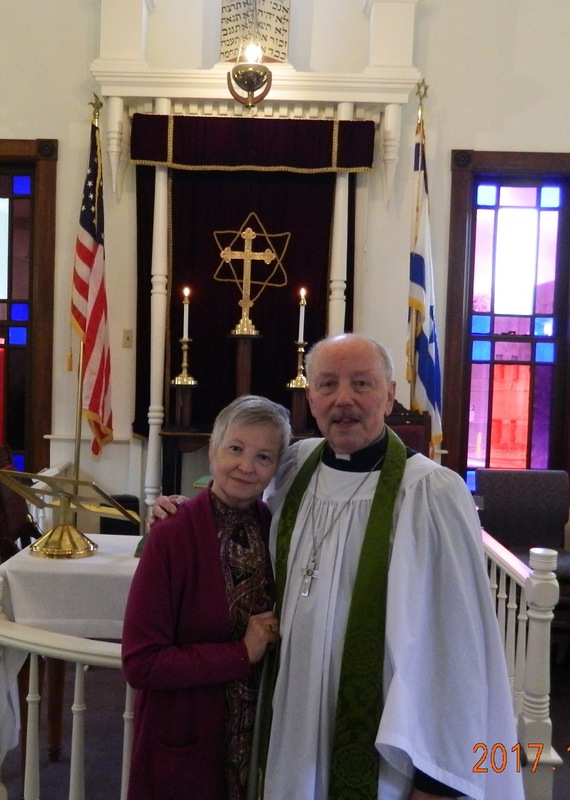 Selected pictures from the morning worship service and the following Parish luncheon are shown below. in TC Record-Eagle newpaper, Sunday, Jan. 6, 2019. Beloved Wife of Fr Henle died December 29, 2018 at home in Traverse City, MI. 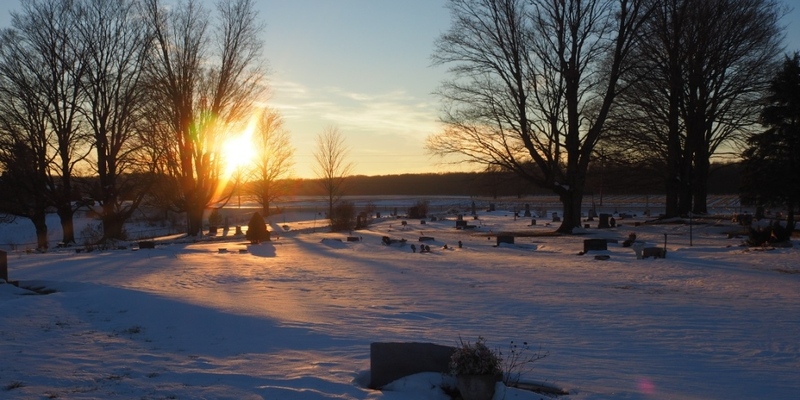 A Memorial Service took place on March 18, 2019, 2PM, conducted by Bishop Hustwick at the Reynold-Jonkhoff Funeral Home in TC.